Can you think of instances where you were stressed? What were some of the reasons behind it? What are some of the results of stress and most importantly, when you’re stressed how do you cope? Phycologists agree that not all stress affects individuals negatively, in fact in some instances stress can be a positive force in motivating you to perform well at particular intervals like for instance during a job interview or whilst sitting an examination. But in other instances stress can be an overwhelmingly negative force. Let’s firstly define stress before proceeding any further. Stress in its simplest form can be defined as a state of mental or emotional strain or tension resulting from adverse or demanding circumstances. 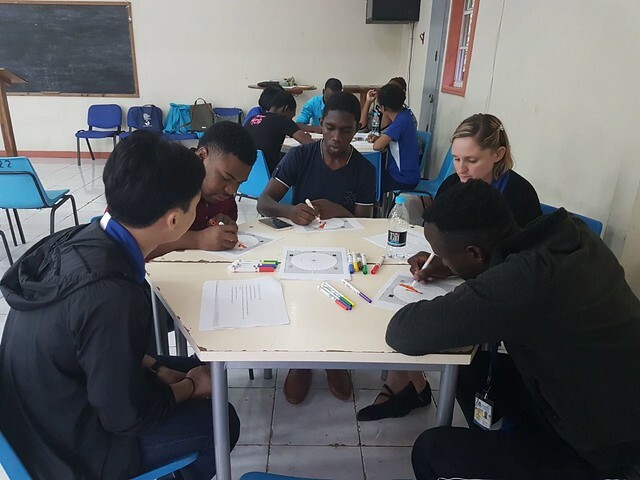 The Department of Behavioural and Social Sciences at Northern Caribbean University (NCU) in collaboration with graduate interns from the Counselling and Wellness Centre at the University of Florida during a stress management session, shared stress management techniques with both students and faculty alike, on Tuesday May 8. The first step in managing stress is to successfully identify the symptoms or the triggers of stress. Most common stressors identified by persons present at the session included: coping with difficult relationships, coping at work, handling bereavement, managing finances and dealing with illness among many others. How the body responds to stress depends on the individual and the situation. Your body may respond to stress in various ways including racing heart rate, quickened breathing, muscles tightening and blood pressure rising. All these responses to negative stress can lead to a long list of ailments and diseases and if left unresolved can lead to death. The session was well received as it was beneficial, useful and timely. Some healthy ways to successfully manage stress includes taking care of yourself, talking to others and taking a break. During the session attendees were allowed to de-stress at different breakout sessions that were strategically setup for individuals to express their problems, learn to be more compassionate, take care of themselves and ultimately strike a balance with wellness.